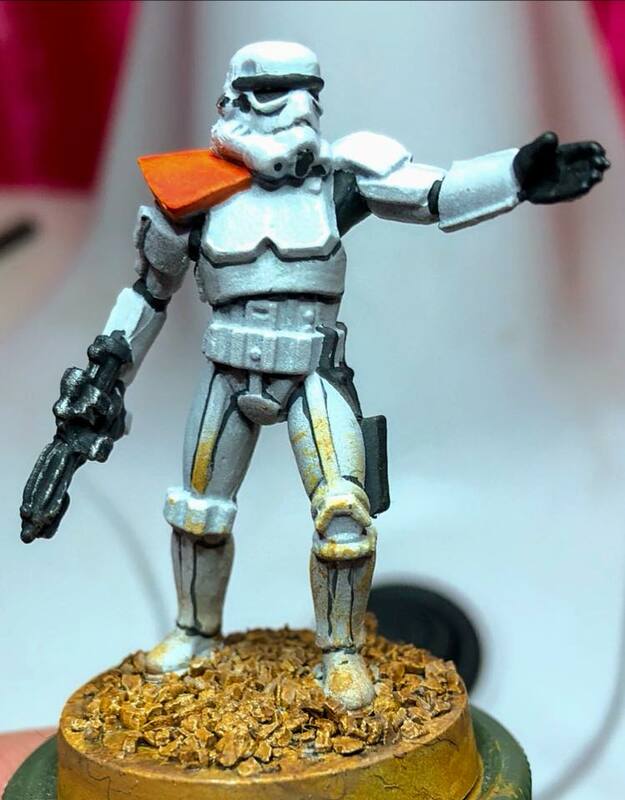 Star Wars: Legion is a perfect storm between two of my favourite interests – tabletop miniature wargaming and Star Wars. I am big into this game, to the point where I put aside or packed away everything else. I also admin or moderate a few Facebook groups. 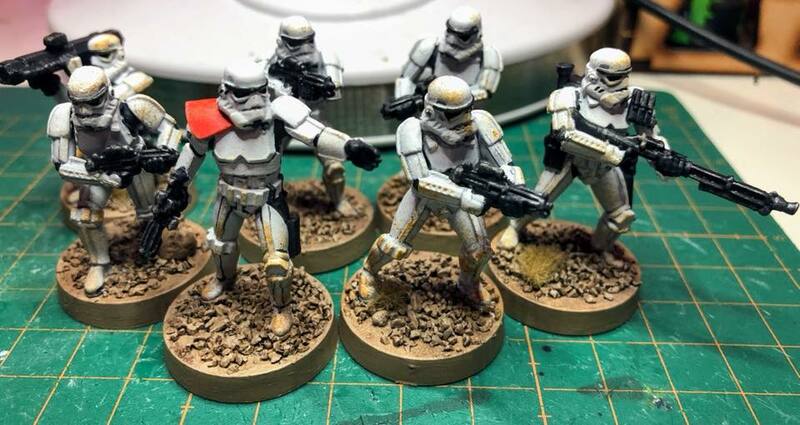 Recently I finished painting my first squad from the core box set. I have also gone quite customisation mad, especially on the Rebels. I shall be sharing more of those projects as they go along. I’ve been waiting for this for a long time; a good quality, well supported tabletop miniatures game for Star Wars and I’m so happy that Star Wars: Legion has come along. Fantasy Flight Games appears to have hit that sweet spot of scale and playability. I have a few issues with the mechanics of the game (proprietary movement templates work for X-Wing and Armada but I’m used to tape measure on the ground) and the readability of their rules does leave something to be desired. Fortunately the “Learn to Play” book included in the core box is quite good and the game is fun!